Guess what I found at Costco?? 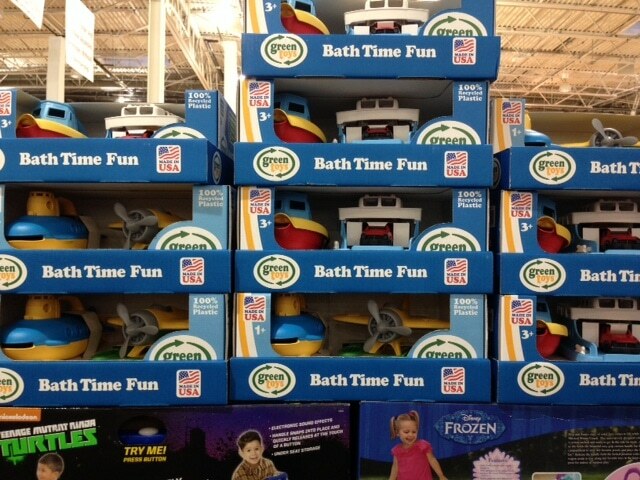 2-packs of Green Toys bath toys! AND I found them at pretty great prices! They are carrying 2-packs of bath toys, including 2 different options: submarine and airplane toys and ferryboat and tugboat toys. As a price comparison, just one of these toys goes for around $15 right now on Amazon. These 2-packs cost just $18.99 at Costco (so $9.50 a toy), which is a great deal! We have several Green Toys in our house and they are fun, BPA, phthalates, PVC, or external coatings- free toys.